My first computer based cartography work was done on Freehand so this kinda makes me sad even though I don’t use Freehand anymore (our company uses Illustrator). 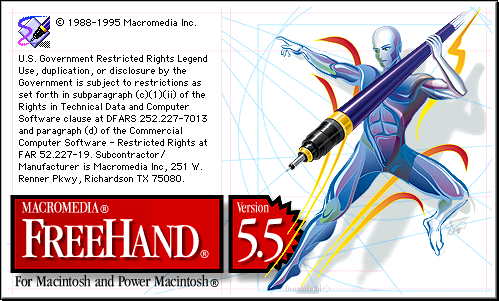 Actually the last version of Freehand I used was version 5.5 on Macintosh so that pretty much dates me and is probably why Adobe is dropping Freehand. Also I’m sure many Dreamweaver users will be happy to hear that GoLive is going away also. I used to have GoLive Cyberstudio before Adobe bought the product and renamed it, but about the time that happened Visual Interdev came out so I just ended up using that instead.